Match ends, Coventry City 2, Shrewsbury Town 3. Second Half ends, Coventry City 2, Shrewsbury Town 3. Goal! Coventry City 2, Shrewsbury Town 3. Joe Riley (Shrewsbury Town) from a free kick with a right footed shot to the top right corner. Foul by Callum Maycock (Coventry City). Ben Godfrey (Shrewsbury Town) wins a free kick in the attacking half. Attempt saved. Lenell John-Lewis (Shrewsbury Town) left footed shot from a difficult angle on the left is saved in the centre of the goal. Jon Nolan (Shrewsbury Town) wins a free kick on the right wing. Attempt missed. Lenell John-Lewis (Shrewsbury Town) header from the centre of the box is too high. Peter Vincenti (Coventry City) wins a free kick in the attacking half. Ebou Adams (Shrewsbury Town) is shown the yellow card for a bad foul. Delay in match Peter Vincenti (Coventry City) because of an injury. Peter Vincenti (Coventry City) wins a free kick in the defensive half. Foul by Ebou Adams (Shrewsbury Town). Corner, Coventry City. Conceded by Craig MacGillivray. Attempt saved. Jodi Jones (Coventry City) right footed shot from a difficult angle on the left is saved in the centre of the goal. Attempt blocked. Stuart Beavon (Coventry City) right footed shot from outside the box is blocked. Delay in match Jodi Jones (Coventry City) because of an injury. Substitution, Shrewsbury Town. Ebou Adams replaces Shaun Whalley. Substitution, Shrewsbury Town. Joe Riley replaces Arthur Gnahoua. Ben Godfrey (Shrewsbury Town) is shown the yellow card for a bad foul. Dominic Hyam (Coventry City) wins a free kick in the attacking half. Foul by Ben Godfrey (Shrewsbury Town). James Bolton (Shrewsbury Town) is shown the red card. Jodi Jones (Coventry City) wins a free kick in the defensive half. Attempt missed. Dominic Hyam (Coventry City) left footed shot from the left side of the box misses to the left. James Pearson (Coventry City) hits the bar with a header from the centre of the box. Corner, Coventry City. Conceded by Junior Brown. Tony Andreu (Coventry City) is shown the yellow card for a bad foul. Arthur Gnahoua (Shrewsbury Town) wins a free kick in the attacking half. Foul by Tony Andreu (Coventry City). Tony Andreu (Coventry City) wins a free kick in the attacking half. Goal! 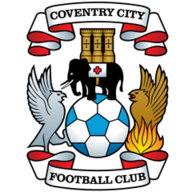 Coventry City 2, Shrewsbury Town 2. Marc McNulty (Coventry City) converts the penalty with a right footed shot to the bottom right corner. Penalty conceded by Junior Brown (Shrewsbury Town) after a foul in the penalty area. Penalty Coventry City. Marc McNulty draws a foul in the penalty area. Attempt missed. Stuart Beavon (Coventry City) right footed shot from outside the box is just a bit too high. Junior Brown (Shrewsbury Town) wins a free kick on the left wing. Attempt missed. Ben Godfrey (Shrewsbury Town) right footed shot from the centre of the box is close, but misses to the left. Corner, Shrewsbury Town. Conceded by Jodi Jones. Marc McNulty (Coventry City) wins a free kick on the left wing. Substitution, Coventry City. Stuart Beavon replaces Michael Doyle. Goal! Coventry City 1, Shrewsbury Town 2. Tony Andreu (Coventry City) right footed shot from outside the box to the top left corner. Assisted by Jodi Jones. Corner, Shrewsbury Town. Conceded by Jordan Shipley. Lenell John-Lewis (Shrewsbury Town) wins a free kick on the left wing. Foul by Peter Vincenti (Coventry City). Tony Andreu (Coventry City) wins a free kick in the defensive half. Second Half begins Coventry City 0, Shrewsbury Town 2. Substitution, Coventry City. Callum Maycock replaces Dion Kelly-Evans. First Half ends, Coventry City 0, Shrewsbury Town 2. Attempt missed. Arthur Gnahoua (Shrewsbury Town) left footed shot from the right side of the box is high and wide to the left. Foul by Dion Kelly-Evans (Coventry City). Attempt missed. Peter Vincenti (Coventry City) header from the centre of the box misses to the right. Corner, Coventry City. Conceded by James Bolton. Attempt blocked. Jodi Jones (Coventry City) left footed shot from outside the box is blocked. Attempt missed. Stefan Payne (Shrewsbury Town) header from the centre of the box misses to the right. Attempt saved. 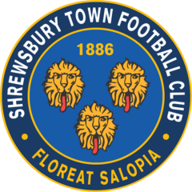 Ben Godfrey (Shrewsbury Town) right footed shot from outside the box is saved in the centre of the goal. Substitution, Coventry City. Jordan Shipley replaces Ben Stevenson because of an injury. Jon Nolan (Shrewsbury Town) wins a free kick in the defensive half. Delay in match Ben Stevenson (Coventry City) because of an injury. Attempt missed. Lenell John-Lewis (Shrewsbury Town) right footed shot from the left side of the box is close, but misses to the left. Attempt blocked. Omar Beckles (Shrewsbury Town) left footed shot from outside the box is blocked. Corner, Shrewsbury Town. Conceded by James Pearson. Corner, Shrewsbury Town. Conceded by Dominic Hyam. Goal! Coventry City 0, Shrewsbury Town 2. Arthur Gnahoua (Shrewsbury Town) left footed shot from the centre of the box to the bottom right corner. Corner, Shrewsbury Town. Conceded by Dion Kelly-Evans. Corner, Coventry City. Conceded by Aristote Nsiala. Goal! Coventry City 0, Shrewsbury Town 1. Stefan Payne (Shrewsbury Town) right footed shot from the centre of the box to the centre of the goal. Assisted by James Bolton. Attempt missed. Arthur Gnahoua (Shrewsbury Town) right footed shot from outside the box is close, but misses the top left corner. Delay in match Dion Kelly-Evans (Coventry City) because of an injury. Attempt missed. Lenell John-Lewis (Shrewsbury Town) left footed shot from the centre of the box misses to the right. Foul by Lenell John-Lewis (Shrewsbury Town). Marc McNulty (Coventry City) wins a free kick on the right wing.